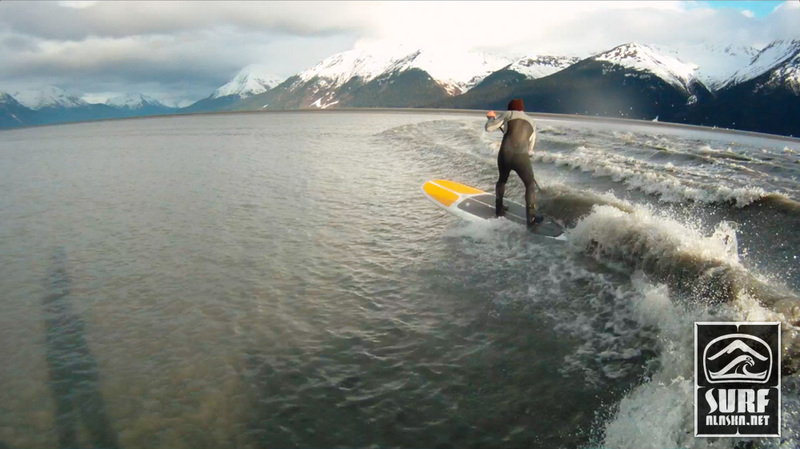 Surfing the Turnagain Arm Boretide. Watch the video below! You’ll never know unless you go. This thought often makes us get in the car for the 3.5 hr one way drive to Turnagain Arm in search of the often elusive boretide. 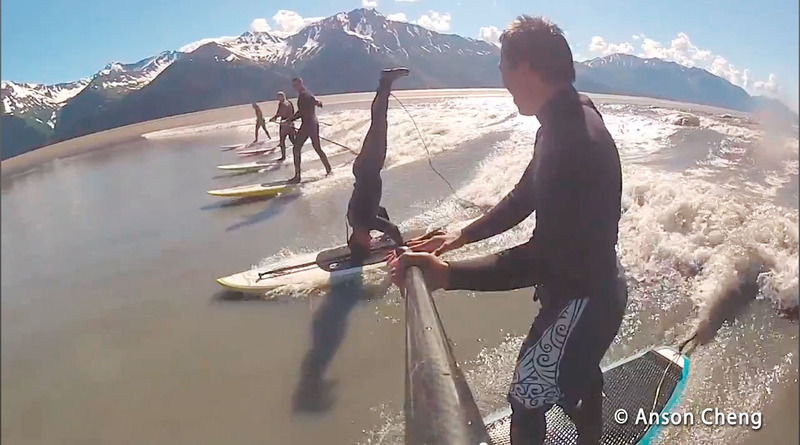 The tides are very predictable, the wave – not so much. It’s always a gamble with the countless variables that change the wave, and then there’s the wind. 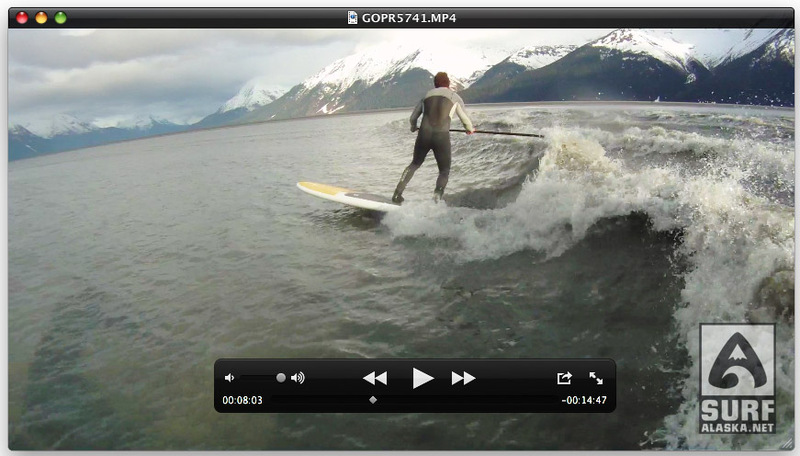 Ever since last fall we have been trying to find the monster wave we saw near the town of Hope. So far this year we are yet to see it. The serpent seems to be sleeping. Persistence can pay off. After our last epic battle with a windy bore I wasn’t super confident it was worth trying again yesterday. Still frame from the video posted below. 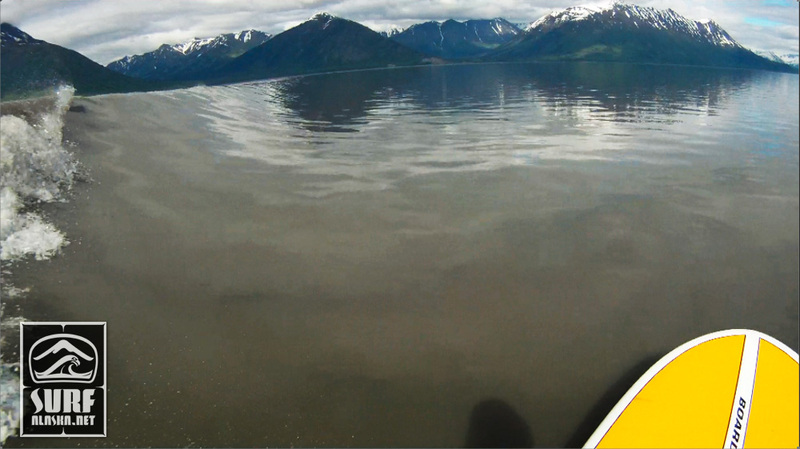 The Turnagain Arm boretide is a mysterious event. 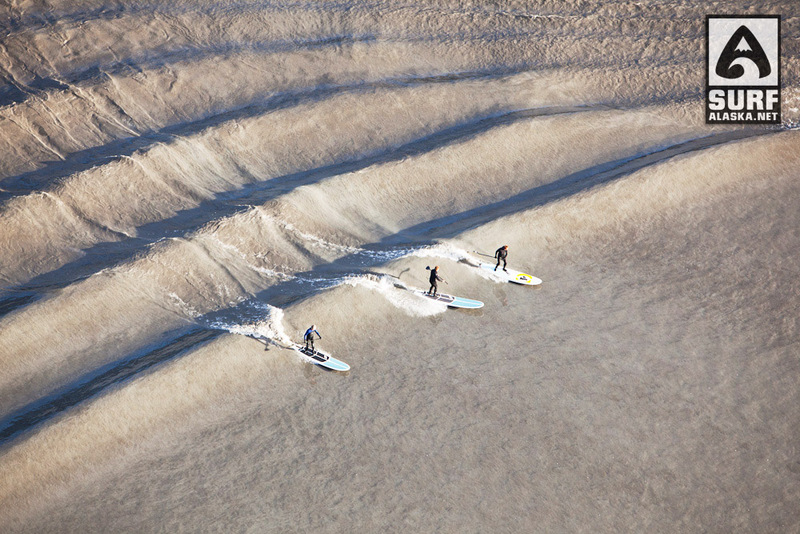 We’ve spent a lot of time analyzing the tide charts, water depths, channel and sand bar shapes . . . But in the end you still just have to show up and hope for the best. Sometimes we score, sometimes we’re just get sore. Yesterday Mike and I made the road trip to try and slay the serpent in some new territory. 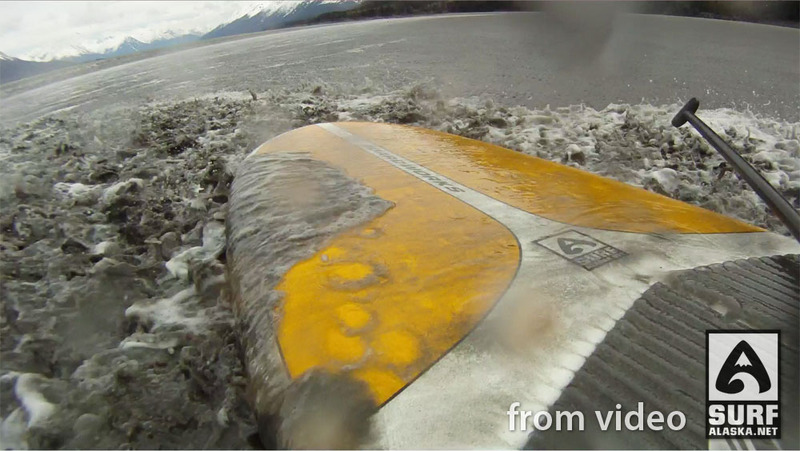 We had seen an incredible wave breaking on the South side of the arm last fall and heard juicy rumors from the locals. Unfortunately the wind was howling a gusty 20-30mph out of the East. 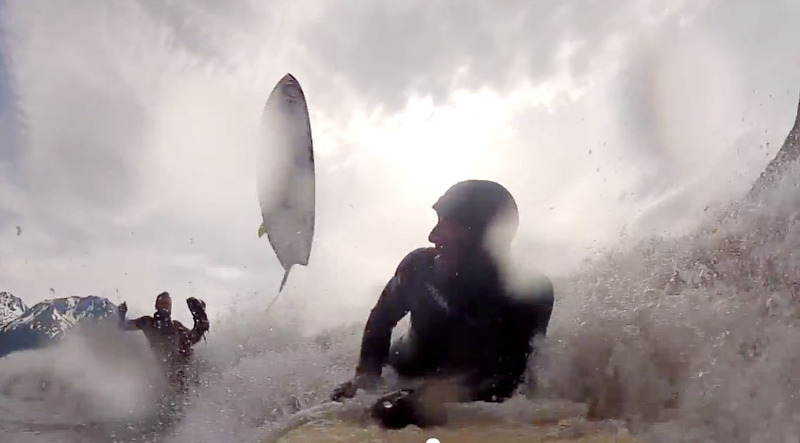 This could be considered an offshore breeze so we were hopeful that just maybe we’d still find something to ride.